Hi everyone and welcome to my stop on the Blog Tour today for Born Bad by Heather Burnside. Thank you to Aria Fiction for inviting me on the tour and for sending me a beautiful paperback copy of this book to read and share my review with everyone. Brother and sister Peter and Adele Robinson never stood a chance. Dragged up by an alcoholic, violent father, and a weak, beaten mother, their childhood in Manchester only prepared them for a life of crime and struggle. But Adele is determined to break the mold. She studies hard at school and, inspired by her beloved grandmother Joyce, she finally makes a successful life for herself on her own. This was the first book I have read by this author and it was an enjoyable book. It was fast paced from beginning to end, and I enjoyed the plot. The book starts off in 1994 when Adele is meeting with a Clinical Psychologist for counselling. They are talking about her relationship with her current partner and her family history. He asks her to discuss with him her relationship with her family members, including her brother, mother and father, starting when they were younger. The book is then divided into 3 different timelines: Part I (1973-1974), Part II (1979-1980) and Part III (1983-1984). I enjoyed the way this was done in different parts, as it slowly gave us a glimpse at a time into Adele’s past and her upbringing, and gave us piece by piece of what her life was like that molded her into the woman she is today. Parts were revealed about her upbringing as a pre-teen, a teen and then a young adult. We are introduced to many characters in the book, including Adele, her brother Peter, her mother, her father, and her maternal grandmother. Despite growing up with a physically and verbally abusive father and a mentally unstable mother, Adele seemed to do well for herself. She was determined to succeed in school and to be as much of a “good girl” as she could possibly be. She tended to get into some mischief and physical fights with peers growing up, but nothing series. Unfortunately her brother Peter wasn’t so lucky. He was always causing trouble, stealing things, getting into physical fights, hated school and the older he got the more trouble and mischief he caused. As he got older he would break and enter into homes and steal various items, landing him in trouble with police. Knowing their fathers temper and abusive ways, Adele would do whatever it took to toe the line and not make him mad. Her brother Peter, however, always seemed to make their father angry, much to the dismay of Adele and their mother. I really liked Adele’s character. Despite her rough and less than pleasant upbringing, she was a good person and did her best to make the most of herself and the situation they were in. I felt bad for Peter as I feel he had the potential to be more and do more with his life, but unfortunately fell victim to his upbringing. I completed despised their mother and father. Granted their mother tried to do the best she could most times, she was fearful of her husband (and rightfully so) which resulted in her not being there to protect her children the way she should have and stood by as everything went on. Their father was just mean and nasty and not likable at all. I really enjoyed their grandmother Joyce. She knew what the children were going through and tried to help in as many ways as she knew how. I enjoyed this book and it kept me on the edge of my seat as I flipped through and wanted to know what would happen next. Thank you for stopping by stop on the blog tour! Thank you to Avon Books UK and Harper Collins Canada for gifting me an ARC copy of this book to read. 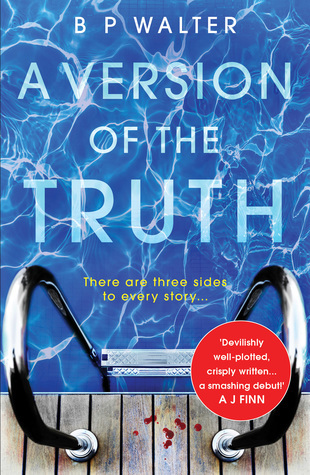 A Version of the Truth was an addictive book from the beginning. I love a good novel with domestic and family drama, and this book did not disappoint! A husband appears to be hiding secrets from his wife and son, and when his son uncovers something awful involving his father and shows it to his mother, their life as they know it is flipped upside down! Not only does the son question his father and who he thought his father was, but the wife begins to doubt her husband as well. Can you imagine being married to someone for over 25 years only to find out they are possibly hiding such a gruesome and devastating secret that it makes you question if your whole lie was a marriage? I cannot begin to fathom how this must feel and I felt so bad for not only Julianne but for her son as well. I found myself wanting to know what was on the computer that the son found online and wanted to uncover the truth just as much as they did. What could the husband be hiding that is so bad, that he would do anything in his power to hide the truth? Will it be the end of his marriage? Even though this story was told over two different timelines, I enjoyed getting glimpses into the past and then the present, as it helps unravel the story bit and bit and we learn the whole truth from the very beginning. It was easy to follow along with the different timelines, and I enjoyed the fact that we only learn what really happened all those years ago piece by piece. It made you wanting to read more to uncover the whole truth and added to the suspense and mystery of the story. I loved that! I am looking forward to reading more titles by this author. 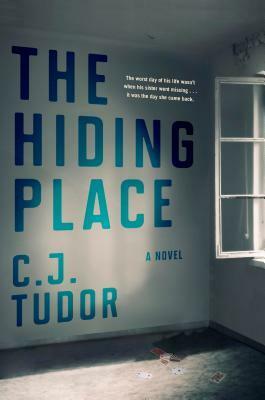 Thank you to Doubleday Canada and Crown Publishing for gifting me an ARC copy of The Hiding Place by C.J. Tudor to read and share my review. All opinions are my own and are in no way influenced. Lying his way into a teaching job at his former high school is the easy part. Facing off with former friends who are none too happy to have him back in town–while avoiding the enemies he’s made in the years since–is tougher. But the hardest part of all will be returning to that abandoned mine where it all went wrong and his life changed forever, and finally confronting the shocking, horrifying truth about Arnhill, his sister and himself. 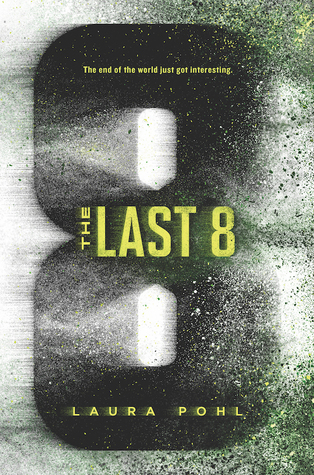 Because for Joe, the worst moment of his life wasn’t the day his sister went missing. This was the first book I have read by C.J. Tudor and trust me, if will not be my last! She has such a way of writing that grabs your attention and demands it the entire way throughout the book. The Hiding Place was such a creepy, addictive, and dark novel and I enjoyed every second if it! One heck of a ride as we explore small town happenings both past and present. Joe returns to his hometown and we get glimpses into his life as a child growing up with sister Annie who had disappeared when they were young. Why did Annie disappear? What happened to her all those years ago? Joe was a complicated, troubled and unreliable character, which made for a great story as being told from his perspective. I couldn’t help but feel bad for him, as he tells his story about what happened to make him into the man he is today. As unreliable a character as he is, I enjoyed reading about his dark and tragic past. He had been through so much in his young and adult life. And the fact that Joe returns to that creepy, old town mine years after the fact! How creepy is that!? It gave me chills reading about the mine and all the things that happened there. I loved the creepy vibes of this book and the mystery of it all. I’ll be on the looking for Tudor’s other novels. Well done! 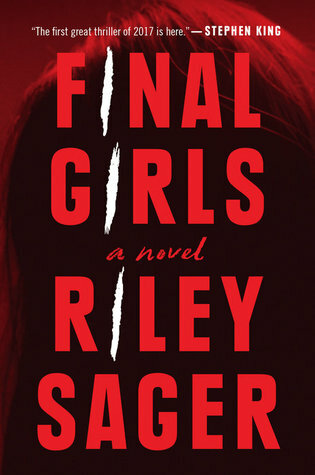 The Last Time I Lied was the first book of Sager’s that I have read and I absolutely loved it, so of course I had to check out Final Girls. I heard so many great reviews on this book that I was thrilled to pick up a copy to read. I was not disappointed! Final Girls was a gripping, addictive, roller coaster of a ride right from the very beginning. SO many secrets, lies and deception, with shocking twists and turns that will rock you to your core! Who can you believe when everyone around you seems intent on hiding something? Quincy was doing just fine until she met fellow Final Girl Sam one day when Sam shows up on her doorstep. Everything in Quincy’s life as she knows it changes. I enjoyed reading about the Final Girls and how their struggles in their past made them who they were currently. Imagine being a final girl in such a horrific experience? I cannot even begin to imagine. Without giving too much away this book was a great read from beginning right through to the end. You will not be disappointed in this book. If you haven’t read it yet be sure to check it out! This book was addictive and sucked me in from the very beginning. Becky was on a flight to visit her mother and sister in another state, when she gets a text from her husband saying their daughter is in the hospital. Becky is frantic, as her daughter has been sick for quite some time and despite seeing many doctors and specialists, and having many medical tests done, no one seems to know what is wrong with Meghan. How can the doctors say she appears to be healthy and fine, when she is always so sick? Can’t anyone give them some answers? I was hooked to the story. 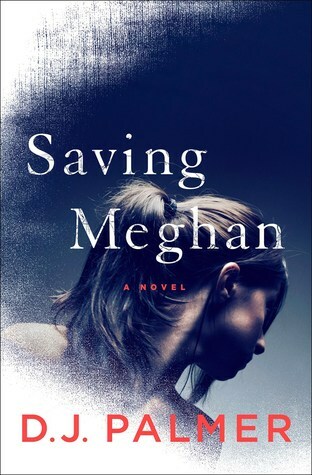 I wanted to know what was wrong with poor Meghan, and I felt so bad for her as she always seemed to be experiencing some ailment or another. A young girl, in the prime of her teenage years, and she was so sick she was limited to what she could do. Doting parents who seemed to devote their lives to finding some answers for their daughter, especially the mother Becky. I enjoyed the twists and turns and shocking revelations that are revealed in this novel. A few surprises that I was not expecting at all. Just what is it that is making dear Meaghan so sick? Will she finally find some answers? Overall an enjoyable read. Be sure to check it out! Thank you to the publisher Berkley for gifting me with an eARC copy of this book to read and share my review via NetGalley. Imagine falling in love only to find out that everything you have known, including the man you thought you knew, could all be one lie? Your world as you know it would be turned upside down, you would be devastated and you would search for answers in an attempt to learn the truth! I enjoyed Marian’s character in this book and reading about her work and what she did for a living. It was interesting to read about her working with rescue dogs in Canada to help protect endangered wildlife, especially since I myself am from Canada! I cannot imagine working outside in the frigid cold on a regular basis like so many people do. Marian was a very likeable character in this novel and I enjoyed reading about her character development. I couldn’t help but feel bad for her when she lost Tate in his tragic death, only to find out he possible lied to her about everything and who he was. Was Tate truly responsible for the deaths of those women? Was his plan to eventually murder Marian too, or was she different? I enjoyed reading about their relationship together, as well as when Marian was working with a retired forensic profiler in an attempt to find out the truth about the man she loved. 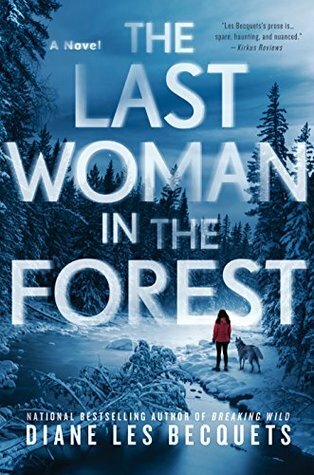 The Last Woman in the Forest was an addictive read that left me turning the pages to find out what would happen next in the story. I found myself wanting to learn the truth about Tate just as much as Marian did. There were plenty of shocking twists and turns in the book that will keep you on the edge of your seat and you immerself yourself in the book. This was the first book that I have read by Diane Les Becquets and I was not disappointed. After reading this novel I am definitely interested in checking out her other novels. Thank you to the publisher St. Martin’s Press and to NetGalley for the eARC copy of this book to read and share my review with my followers. Caroline seems to have it all. A lavish beach house, a doting husband, a daughter in university, and lots of money. What else could she possibly want? She is the envy of everyone and seems to have the perfect life. 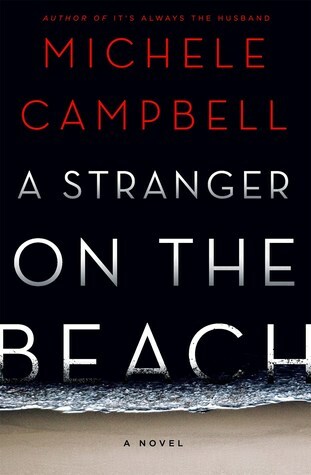 One day Caroline sees a man standing on the beach, a stranger that seems to be watching her property. Why would this man be standing there staring at her house? Caroline throws a lavish party at her beach house, only for her husband to call and tell her something with work has come up and he unfortunately will not be able to make it home in time for the party. Caroline is upset. What could be more important than attending his own party with his wife, and their family and friends? Later on at the party, Caroline finds out that he husband has made a brief appearance with another woman. Caroline is furious and confronts him and this mystery woman. Who is this strange woman and why would she show up with her husband? Confused and hurt, Caroline doesn’t know what to think. 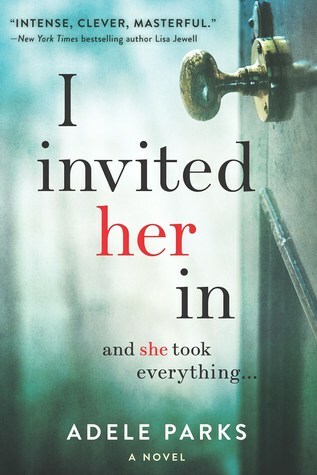 I loved the dark and twisty mystery of this book, and the way it kept you on your toes and at the edge of your seat as the book takes you on a wild ride right through to the very shocking ending of this book! And wow, what a ride it was! There is so much deceit, lies and betrayal, it was hard to figure out who was actually telling the truth. There are so many unreliable characters in this book that it makes for a fabulous book! Who is telling the truth? Are they all just as crazy as the next person, or are there actual victims here? There were times I felt sorry for Caroline, then for her husband, then for Aiden. As the story unfolds, I wasn’t sure who to feel sorry for, and I loved that about this book. Just when you think you have it all figured out you find out you were wrong. This book will definitely not disappoint! A great read that was addictive from the very beginning! Thank you to the publisher Sourcebooks Fire and NetGalley for gifting me an eARC copy of this book to read and share my review. Thank you to the publisher Harper Collins Canada for gifting me a paperback ARC copy of this book. So much lies, deception, and back-stabbing. This book had me hooked! There is so much drama going on and I absolutely loved it! Old friends Mel and Abi were close in their carefree University days. They would hand out, party together, and seemed inseparable. Fast forward many years later and they reconnect when Mel receives an email from her long ago friend Abi. They meet up and suddenly it is like time hasn’t separated them. Old memories of their friendship years ago come flooding back and Mel cannot believe that Abi is in her life again. Can Abi and Mel regain their old friendship they once had and be friends again? Or is something more dark and sinister at play? Without giving too much away, this book was a real page turner for me. I loved reading the dynamics of Mel and Abi’s friendship, and seeing how it has changed and evolved over time to the present, as they try to rekindle that friendship. Abi seems keen on getting that friendship back with Mel that she once had, but Mel seems hesitant. Is Mel being overly cautious and paranoid now that Abi is back into her life? Hello everyone. I am happy to share with you all today the cover reveal for Forget My Name by J.S. Monroe. I just love the cover of this book and the synopsis sounds so good. I cannot wait to read this book! Please see below for more info about this exciting book! You are outside your front door. There are strangers in your house. Then you realise… You can’t remember your name. J.S. Monroe read English at Cambridge, worked as a foreign correspondent in Delhi, and was Weekend editor of the Daily Telegraph in London before becoming a full-time writer. Monroe is the author of six novels, including the international bestseller, Find Me.